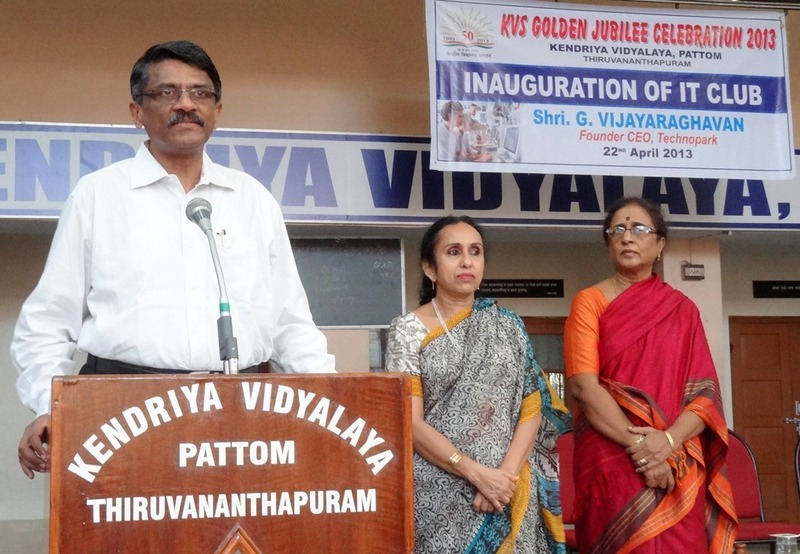 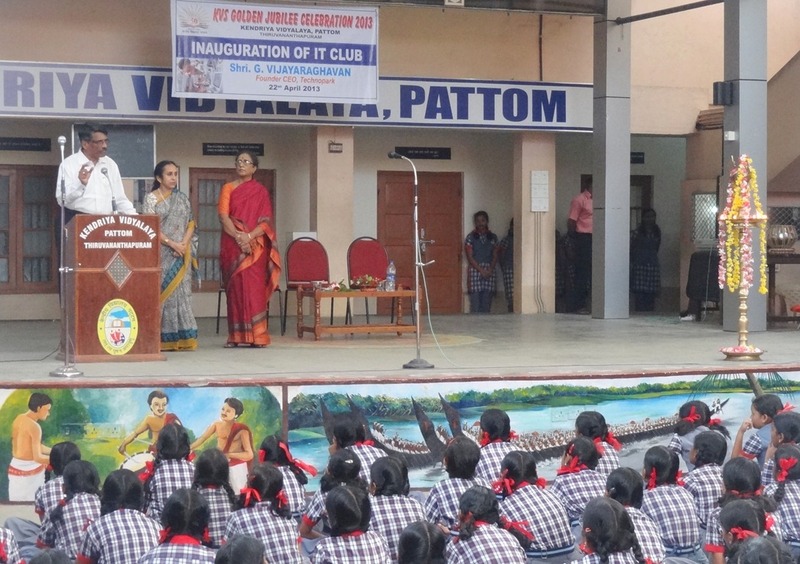 Shri G. Vijayaraghavan, innovator and the founder CEO of Technopark, inaugurating the IT Club on 22 April 2013. 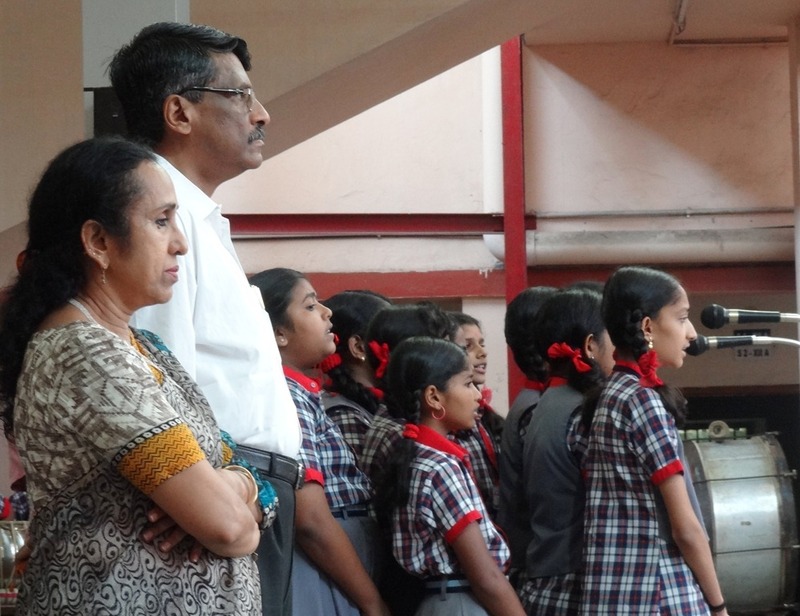 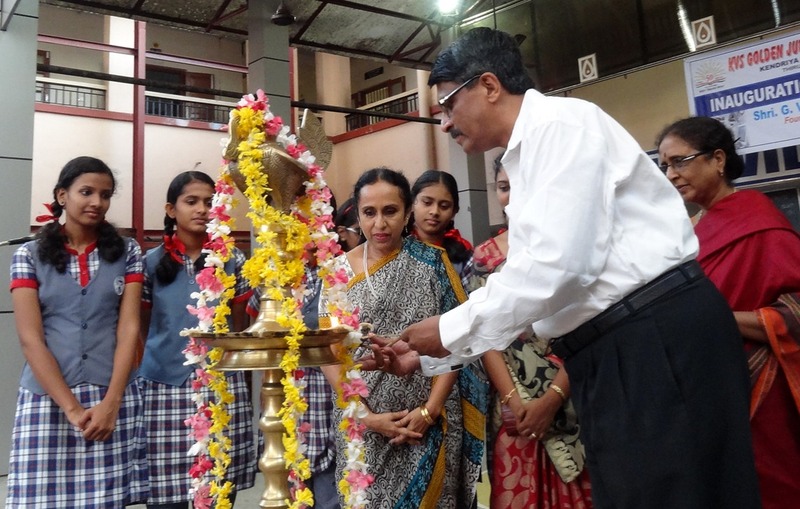 Ms. S. Neerada, Principal and Ms Pushpa Krishnan, Vice Principal are also seen. 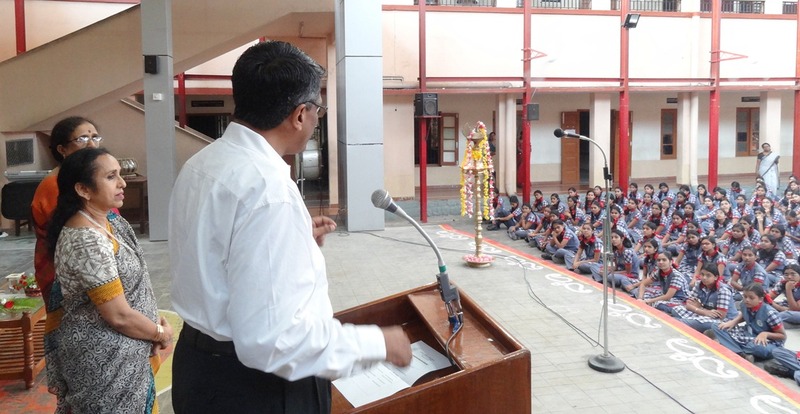 Shri G. Vijayaraghavan addressing students in the assembly. 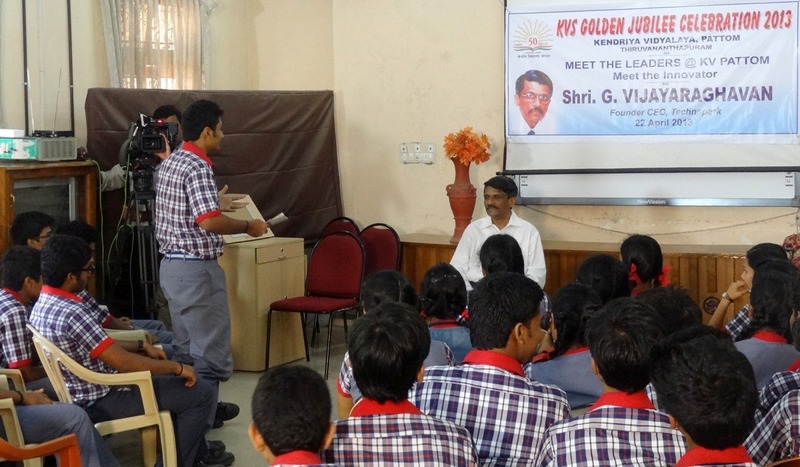 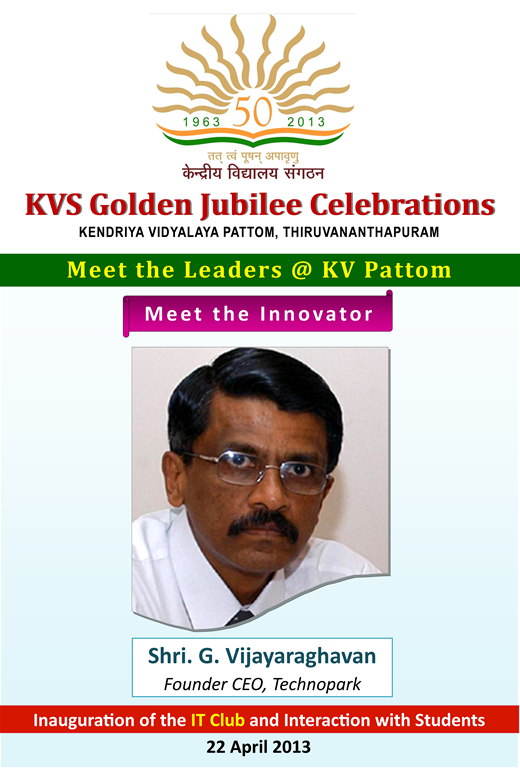 Shri G. Vijayaraghavan interacts with IT students at the ‘Meet the innovator’ programme.